Artist-to-watch Deanna Petcoff discusses her exhilarating second single “Stress,” a bold and raw expression of intimate frustration. I want people to feel like they just got out of a really good therapy session after ‘Stress’ is over; is that too much to say? 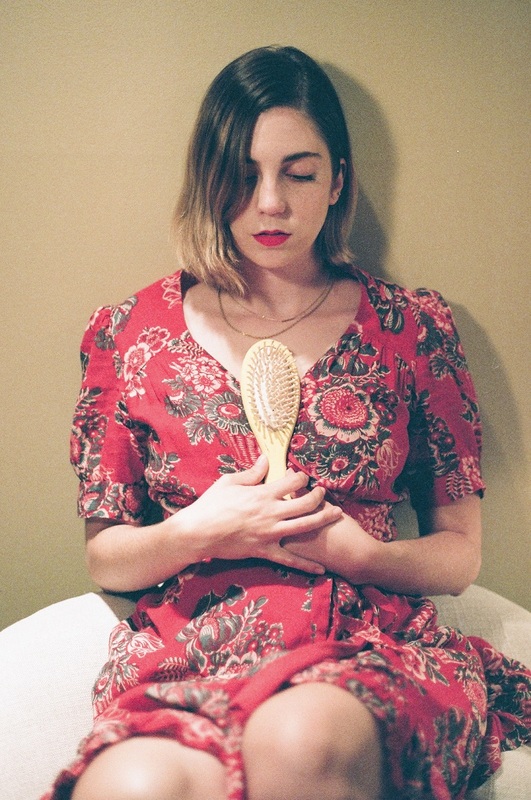 Toronto’s Deanna Petcoff has a special tagline for her project: Happy songs about sad things. And while she’s by no means a one-lane artist, the indie rock-leaning singer/songwriter and her band do have a tendency to make big pills easier to swallow. 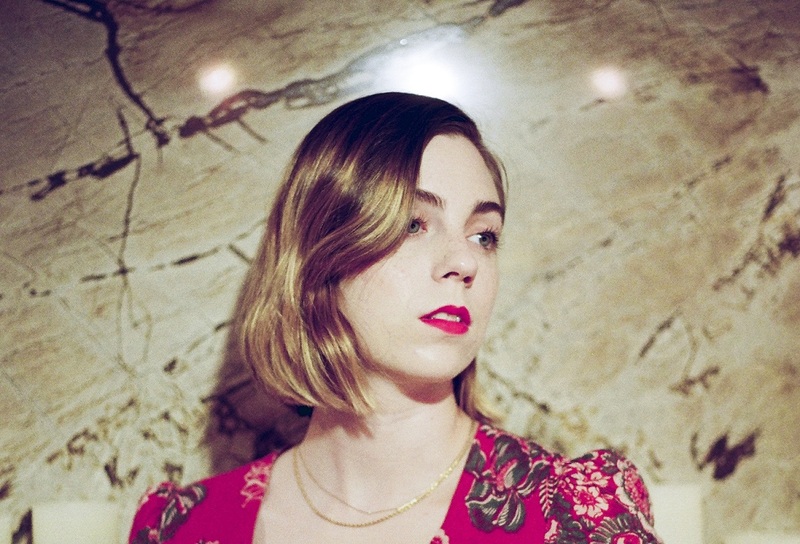 Debuting earlier this year with the melancholy, but upbeat “Terribly True,” Deanna Petcoff introduced herself with a bittersweet admission of guilt and a rejection of love – exploring, in part, the realization that one can be more in love with the idea of love, than the actual person they are with. Today, Petcoff and her band – consisting of drummer Julian Psihogios, guitarist Callum Maudsley, and bassist Dylan Burrett – returns with her exhilarating second single “Stress,” a bold and raw expression of intimate frustration. Catchy and candid, “Stress” finds Petcoff shedding all pretense as she lets loose all those angry and irritated feelings we tend to hold back, especially from those we care about — burying them deep inside, where they fester and grow, but are at least invisible to the outside world. Anthemic and assertive, “Stress” perfectly embodies its namesake, finding Petcoff exploding with both emphatic emotion as well as intense vulnerability. “I wanted to show the range of emotions women feel with the loss of love that aren’t just the sadness of heartbreak,” she writes. 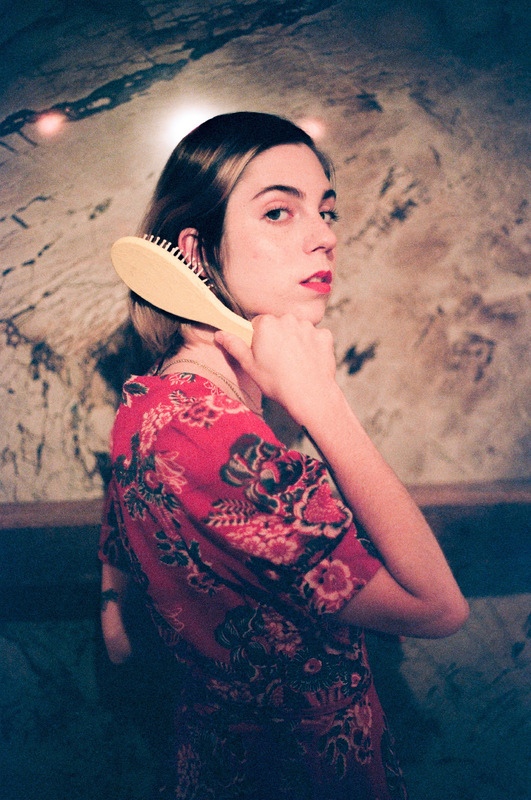 Concurrently with the song, Petcoff has also released the music video (her first-ever) for “Stress.” Directed, produced, and edited by Brittany Farhat, the colorful visual offers a perfect complement to the audio as Petcoff and her closest friends indulge in a classic teenage sleepover. Circling around the catchy refrain, “Won’t someone just tell me what to do?”, Petcoff unleashes wave after wave of energized, angst-riddled passion. 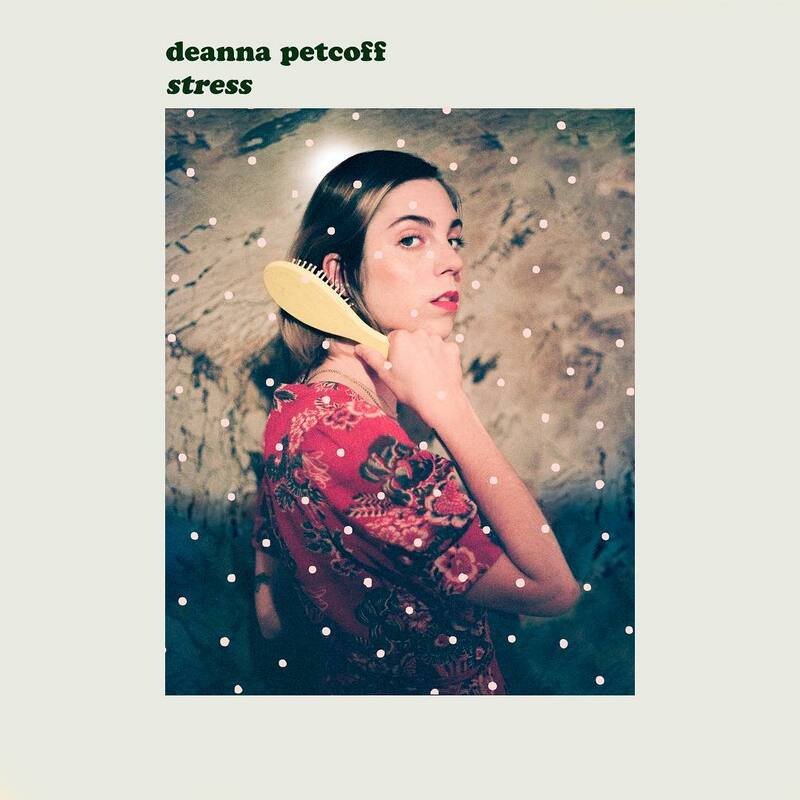 “Stress” is a glowing ball of emotion ready to hit listeners in both the head and the heart, with Deanna Petcoff earning her worth as an artist to watch. Atwood Magazine spoke to Deanna Petcoff about her own artistic comeuppance, the inspiration and importance of “Stress,” and more! Won’t someone just tell me what to do? Atwood Magazine: Thanks so much for chatting, Deanna! “Stress” is a lot different from your first: Whereas “Terribly True” felt bittersweet and plaintive, “Stress” is loud, grandiose, and assertive. Can you tell me a little more about your second song? Deanna Petcoff: “Stress” is definitely different to “Terribly True” with the execution of the emotions and the way we decided to channel more complex and difficult topics people deal with all the time. Stress is really about the frustration you feel when the person you love and are in a “flirtationship” with can’t make a commitment with actions or emotions, which can be a really hurtful and frustrating period to go through. So my goal was to capture that feeling with the music, and give people a chorus they could scream and feel good about. It’s a really fun one to sing. I can only imagine! This also shows another side to you: In our February premiere, I definitely focused on your ability to bring out the various shades of sadness in “Terribly True,” but I steered clear from making too many assumption about you as an artist. Here, I feel like I'm getting a better sense for the kind of sounds you hone in on, the melodies you like to make, etc. Petcoff: Most definitely, and I think as more music is released in the coming months people will get to have a better handle on my style. Right now, I'd put you somewhere in the spectrum of indie rock singer/songwriter. When you're talking to parents or grandparents about your music, if that ever happens, how do you describe it? Is your music written on acoustic or electric guitar? Does that make a difference for you, which instrument it starts with? Petcoff: It definitely makes a difference what I write with, but I do prefer electric guitar. I have a big hollow body Gretsch that I write on most often, it has a very warm tone and is so comfortable in my hands and it allows me to be versatile with what I’m writing, whereas if I write on an acoustic guitar I’m going to write a slow sad song, and if I write on my Strat I’m gonna write a fast song that makes me feel like I’m the type of person that would own that guitar — but my Gretsch really just feels like me. I really feel like my guitars have personalities and they help me write the kind of song I want to write. What was the situation for actually writing this song? Did it come all at once or slowly over time? Petcoff: It came all at once. It hit me in the face as soon as I started writing, because it really started with me just needing to work out my frustration. I finished the chorus and sent it to one of my friends and was like, “Oh my god I did it, this is how i feel, I figured it out.” And the rest just poured out of me, it was exactly what I wanted to say to that person that I didn’t know how to before I sat down to write it. And do you think this person will hear it, or has heard it? Petcoff: They definitely have, and they love it! Which is always a funny situation. Did it wake them up? Petcoff: I think it took more than that to wake them up but it was also much more complicated than “Stress” makes it out to be, so it was just as much my responsibility to wake up as it was his. When there’s no communication, it’s very difficult to get anything done! I can't argue with you there, and you're right insofar as a song can only really say so much, if you're trying to release it to a broader audience. Yet I do like how specific this situation is, regarding communication in a relationship and one side's frustration in not knowing how to broach a subject or engage about a problem. Petcoff: Exactly, it’s gotta be focused on the issue at hand as opposed to all of its intricacies because thats what people connect with the most. I’m always pulled into songs with one specific line, and if I can find a part of myself in that line then immediately I like the song, and I hope people feel that way when hearing “Stress.” Because in reality the feeling of frustration could be related to any relationship, not just a romantic one. There have been times on stage when I’m not singing it for a boy, I’m singing for a friend thats falling away from me or for my mom. Its all able to be interpreted the way you need it to be. Give or take a few lyrics, haha! That's great! I like its versatility -- and you have your own great line, one which stuck with me the very first time I heard your song: “Won’t someone just tell me what to do?” What do these words mean to you? Petcoff: That line is particularly sensitive for me because I’m a very headstrong person, and I don’t like being told what the right answer is or what I need to do to solve my problems because one of my great faults is believing that I know best. Which I don’t at least 50% of the time if not more! But in that particular situation I finally had to admit that I was not in control of my own situation and I needed help. Its hard to ask for it sometimes, but whomever it comes from, sometimes you just need the right advice to push you in the right direction. Someone listening through this song the first time might not pick up on that vulnerability. I think it's very present in the lyrics but almost sugar-coated with the rockier beats and driving melodies. she’s setting her boundaries and figuring out what she needs, which always comes from a vulnerable place. As you've said, a happy song about sad things. Petcoff: Yes definitely, some of the songs are heavier and more tense, but in general I think you’ll find as more music comes out that theyre still fun and upbeat, even when theyre angry or sad or tense. Even “Terribly True” is melancholy but still upbeat, and I have my producer Alex Laurie to thank for that! That's exciting to look forward to! Now, this video is just awesome. For many, it's the first time they're really seeing you in action. What did you and director Brittany Farhat talk about in bringing this song to life visually? Petcoff: Brit and I really wanted to capture the fun, upbeat essence of the song, but also the emotional discombobulation that the song represents. It was my vision to have a teenage bedroom/ girlfriend sleepover video, because I feel like this song is one that girls can sing together and feel solidarity in the confusion that is young men, haha. But she really has a strong artistic vision and colour pallet, and luckily we’re very much on the same page about those things visually…. I also have male friends that are like ,”stress is my life!! !” because they experience the same feelings. It’s really a human experience. I think that's why I relate to the song so much too -- because it is from your female point of view, but it's not exclusive to that. Petcoff: Exactly! And I’m beyond happy that comes across. It looks like everyone had a lot of fun making the video. Petcoff: We really did, I got to have many of my best friends there and we got to jump around all day, haha! Throughout it's sort of cutting in and out of the storytelling part of “Stress” and the far more casual, relaxed atmosphere of Deanna with her friends. Petcoff: Yes, they’re my real friends! And is that someone's pet lizard? Petcoff: We actually Bunz’d her for some lizard stickers Brittany made! She really wanted a pet and we love lizards, haha – it’s just a quirky touch… she was just an actress, the only one really acting! I also like how this song really only references the title at its entrance you don't say “I'm stressed” ever, but by naming the song “Stress,” we all kind of instinctively know where you're coming from. Petcoff: Yeah that was a deliberate choice for sure, I couldn’t for the life of me find a name in the lyrics for the song, and stress is just exactly how I felt – well, stressed. Petcoff: [laughs] I don’t think anyone would listen to that song – or at least, I wouldn’t. I’ve noticed that you tend to refer to your artistry as a project, and you say “we.” Who else is in your band, and what do they play? Petcoff: I have a band comprised of my best friends, Julian Psihogios, Callum Maudsley, and Dylan Burrett, and my producer Alex Laurie steps in on guitar when Callum is on tour! Julian plays drums, Callum plays guitar, Dylan plays bass! Most of us have been friends since high school, and we’ve really grown up together. To wrap up, what, be it a message or feeling or meaning, do you feel “Stress” adds to your now two-song repertoire? Petcoff: I think “Stress” gives people more of an idea what me and my band can do musically, and hopefully gives people something they can dance to, shout to or cry to, because I hope it has the versatility to give people whatever they need. I want people to feel like they just got out of a really good therapy session after “Stress” is over, is that too much to say? Maybe I’m setting high expectations for my music’s reach, but you get out of music what you put into it, right?